Saudi Arabia, May 22, 2018: The International Islamic Trade Finance Corporation (ITFC), member of the Islamic Development Bank Group, Ministry for Foreign Trade of the Republic of Uzbekistan and United Nations Development Program (UNDP) in Uzbekistan have collaborated together to hold the first Trade Finance workshop titled “Trade Finance as a Key Factor in Trade Promotion” . 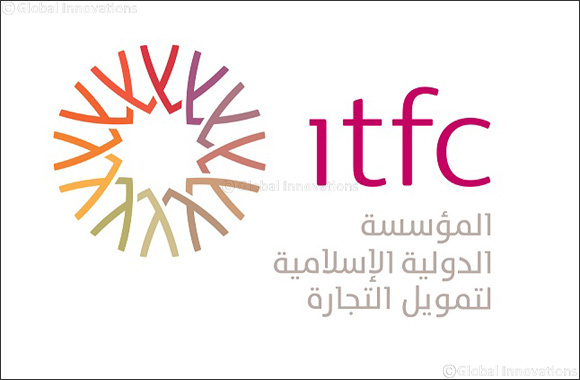 “ITFC is aspiring to play a pivotal role in the development of Islamic Trade Finance in Uzbekistan. ITFC and the Government of Uzbekistan signed USD 100mln Framework Agreement to finance pre-export and import activities in the country. ITFC is gearing itself to work with its partners –namely, UNDP and Turk Eximbank to promote Islamic Trade Finance among the Uzbek banks and non-banking FIs.”, commented Mr. Nazeem Noordali, Chief Operating Officer, ITFC. “In Uzbekistan, the current system of export support is radically reformed. For the first time in Uzbekistan, in foreign trade operations commercial banks’ export financing mechanisms has been introduced. This area of support for domestic exports in Uzbekistan is new and requires consultative and technical assistance from international organizations and financial institutions, which in turn will serve to create a trade finance system,” highlighted Mr. Sahib Saifnazarov, Deputy Foreign Trade Minister. This workshop highlighted a better understanding on the participant’s activity, the International Trade Finance (ITF) Role in Export Promotion and financing, advanced Tools of Export Credit Bank in Export Finance, by Turk Eximbank. “Studies show that in major trading nations, more than 70% of businesses have some form of trade or supply chain financing arrangement with their banks – it provides vital short-term, low risk cash for expansion. With the right support, Uzbekistan could move directly into new back-office practices and technologies to jump start its trade and enterprise development”. “As part of the strategy aimed at implementation of structural changes, modernization and diversification of the economy as well as further development of the export potential, the Government of Uzbekistan is taking practical measures aimed at liberalization and simplification of export activities, diversification of the structure and geography of export. It should be noted that in solving these issues, an important role is played by utilization of financial instruments to support exports. In this regard, the workshop is aimed at building capacities of government officials and exporters on international best-practice on trade financing and modern export financing schemes available to support entrepreneurs in Uzbekistan,” commented Mr. Kamoliddin Nuritdinov, expert on trade development at UNDP Aid for Trade Project. Finally, Uzbekistan holds a great part of this workshop by enlightening the audience on Trade finance instruments available for Uzbek exporters, Role of Uzbekistan’s foreign trade companies in export promotion, Overview of trade finance tools in Uzbekistan and competitiveness of Uzbekistan exporters.